First published in 1995, Allan Sekula’s Fish Story is regarded as a seminal early critique of global capitalism and landmark body of work that challenged perceptions about documentary photography. On the occasion of the book’s republication by MACK, this discussion asks four scholars variously engaged with Sekula’s ideas – Gail Day, Laleh Khalili, Alberto Toscano and Jeroen Verbeeck – to consider its principal concerns and enduring relevance, moderated by Sekula’s long-time archivist, Ina Steiner. Allan Sekula (1951–2013) was a renowned photographer, filmmaker, theorist, photography historian and critic. Centred on an extended photographic essay, interspersed with Sekula’s writings across seven chapters, Fish Story was realized as a book and exhibition, investigating the maritime world as a site of class conflict, and the ocean as a key space of globalization. 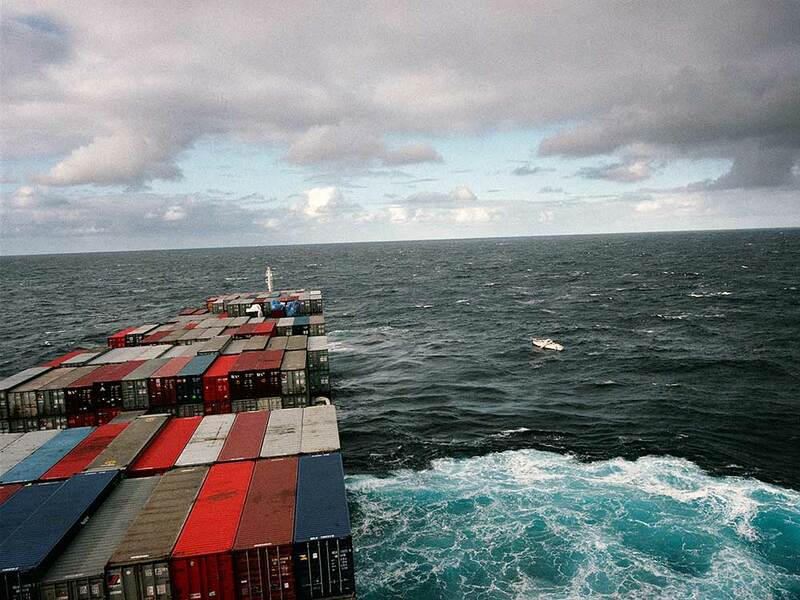 From 1989–1995, Sekula spent seven years photographing harbours and major port cities around the world. Along these journeys, he charted the migration of people and circuits of capital, chronicling – with pen and camera – the experiences of diverse workforces. Gail Day is a Senior Lecturer and Director of Research in History of Art in the School of Fine Art, History of Art and Cultural Studies at the University of Leeds, where she is co-founder of the centre for Critical Materialist Studies. She is the author of Dialectical Passions: Negation in Postwar Art Theory (Columbia University Press, 2010), which was shortlisted for the Isaac and Tamara Deutscher Memorial Prize. She is part of the research collective Marxism in Culture (at the Institute of Historical Research, London) and initiated the project ‘Aesthetic Form & Uneven Modernities’ with colleagues from Universidade de São Paulo and Birkbeck. Laleh Khalili is a professor of Middle East Politics at SOAS and wrote the introduction to the new edition of Fish Story. Her book on the politics of shipping, Sinews of War and Trade, will be published by Verso in 2019. As part of research for this project she travelled onboard containerships and visited ports throughout the western Indian Ocean. Ina Steiner is a photographer and currently teaches at the University of Bergen, Norway in the Faculty of Fine Art. She served as a key assistant to Allan Sekula during the last decade of his life, and particularly as German liaison for his work at documenta XII. In the last year of Sekula's life, she returned to Los Angeles to help organize his archive, and since that time has overseen the inventory of his studio and arranged for a number of key posthumous exhibitions and publications. She served as research consultant on the Sekula study projects based in Belgium at the University of Leuven (KU Leuven) and the Museum of Contemporary Art, Antwerp. Alberto Toscano is Reader in Critical Theory and co-director of the Centre for Philosophy and Critical Thought at Goldsmiths, University of London. He is the author of Cartographies of the Absolute (2015), The Theatre of Production: Philosophy and Individuation Between Kant and Deleuze (Palgrave, 2006) and Fanaticism: On the Uses of an Idea (Verso, 2010) as well as the translator, most recently, of Alain Badiou’s Logics of Worlds (Continuum, 2009) and The Century (Polity, 2007). Jeroen Verbeeck is a Ph.D. student in the Art History Department of KU Leuven (University of Leuven). As a fellow at the Lieven Gevaert Research Centre for Photography, Art and Visual Culture (LGC), his current research focuses on Allan Sekula’s last and unfinished project Ship of Fools / The Dockers’ Museum (2010–2013). As a scientific advisor, he was closely involved in the LGC’s research presentation Allan Sekula: Mining section (Bureau des mines) in the Anatomical Theater in Leuven (2016) and the exhibition Allan Sekula: Sísif col·lectiu at Fundació Antoni Tàpies (2017).